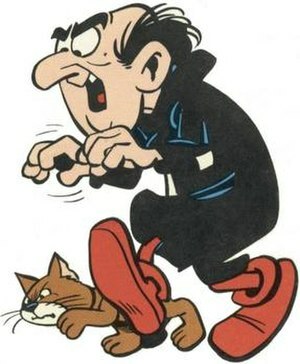 This entry was posted in Family, Kids & Collateral damage., Uncategorized and tagged Gargamel, humor, Life, Misanthropist, miscellaneous, neighbourhood, neighbours, relationships, Society, TV series by Multifarious meanderings. Bookmark the permalink. I think they should start a club (although non doubt they wouldn’t trust eachother enough to be friends). I agree with you about previous experiences being responsible for their behaviour – noone is born with that amount of hatred in them. It’s sad to see someone so lonely, but it’s their choice- maybe they even get some kind of twisted pleasure out of refusing to communicate with us lesser mortals….? You think? I hope not. Because for some reason I don’t blame them entirely. They must’ve had a terrible past. I actually want to help them but like you said they can really zap out all your energy.